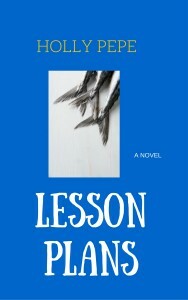 Lesson Plans, a novel written by Holly Pepe, begins with the lives of two main characters that happen to be high school teachers in New York City. First there’s Maureen, an extremely stoic and introverted woman who finds social interaction both intimidating and unnecessary. A quiet, short redhead with the ever-present “muffin top” shape, Maureen begins the school year with both dread and anticipation. Then there is James Frangi. James is an amateur band player complete with tattoos and the requisite cigarette, and yet James spends his days as a special education teacher. With his good-natured and easy-going personality, James enters his new school year with some elbow-ribbing from his friends and a hangover on the first day. It’s an inevitable expectation that James and Maureen are going to meet, and the enjoyable expectation of what these two characters are going to bring to each other keeps a reader turning the pages. 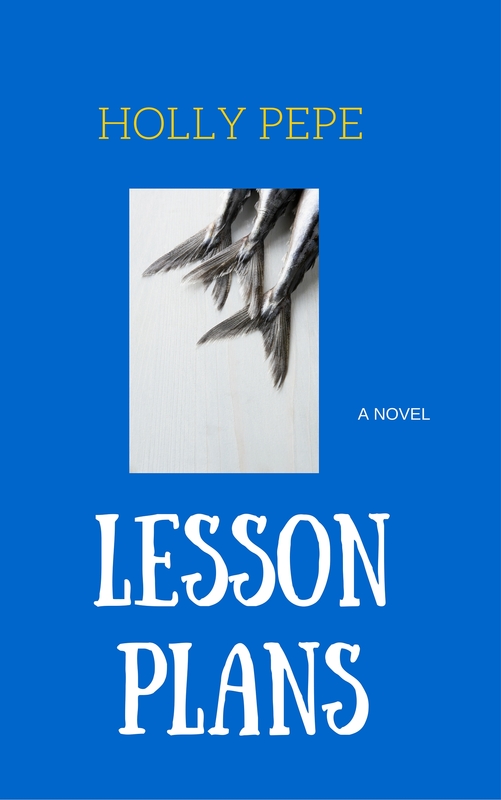 From the beginning, however, the disconnect between Maureen’s extremely introverted personality and the fact that she’s a teacher is somewhat baffling. In fact, her social phobia and “don’t speak, don’t engage, don’t socialize” mentality are so intense that it’s hard to come up with anything likeable about her at the beginning. Even if it’s possible that such a social-phobic person would find their niche in teaching, readers wouldn’t get that impression when the woman nearly bursts into tears after she discovers her schedule includes three periods of the frighteningly uncomfortable “team teaching.” When one of her teammates happens to be the mysterious James Frangi, the spark that we expected to see when the two finally meet is instead replaced with an awkward, abrupt introduction. Once in front of the class-room, Maureen exudes a cold stern-ness and a harsh, no-nonsense exterior – quite the opposite of the meek, mild mouse we were introduced to at the beginning of the story. James, lax with his morning lattes and ripped jeans, is the complete antithesis of his classroom’s leading lady. Yet once he sees Maureen in action and using her passion to engage the students, his interest is piqued. The battles of interest and irritation wage back and forth until finally, on one snowy winter day, an empty classroom devoid of students turns the detached working relationship of James and Maureen into a smoldering friendship. Eventually, when James tears down the walls of Maureen’s complicated exterior, what he finds inside isn’t so cold and stoic after all.